Now that we are coming to the end of the long summer holidays it is time to start thinking about the children returning to school. The return to school also brings the return of preparing packed lunches. 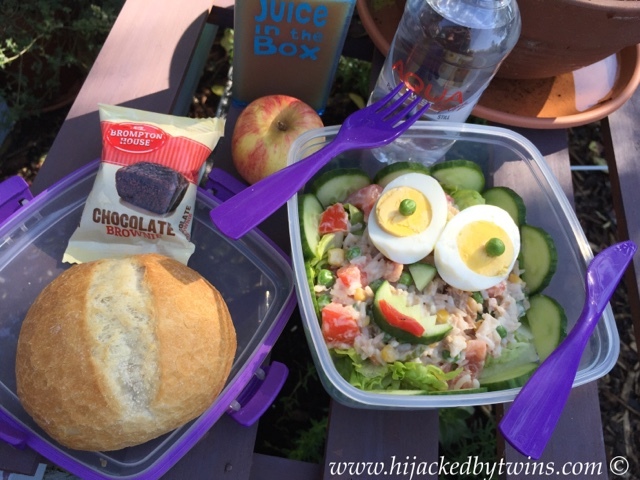 I don't know about you but making packed lunches always seems like a chore, it is always done at the end of the day and I often get stuck for ideas. 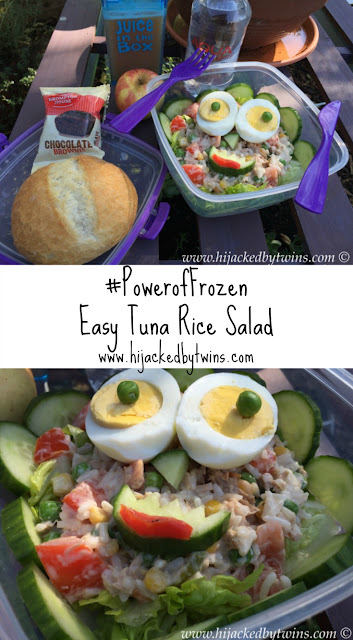 So when Iceland challenged me to devise an easy recipe for a healthy packed lunch I knew that it would need to be a lunch that will not take long but that would also be full of healthy foods that the kids would love. 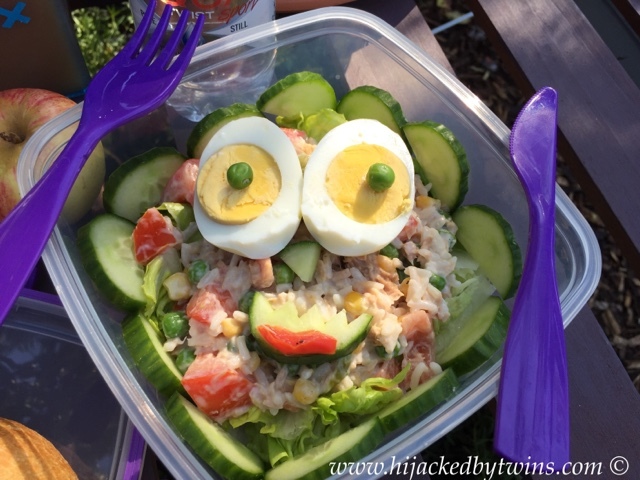 The one way I find that my children tuck into a salad is if it is fun, colourful and with mayonnaise. The beauty of this recipe is that the majority of the ingredients are frozen so there are no worries about whether you have the fresh ingredients to prepare. Even the bread rolls are frozen! One of my packed lunch fails has to be not having enough bread or forgetting to defrost some fresh bread. 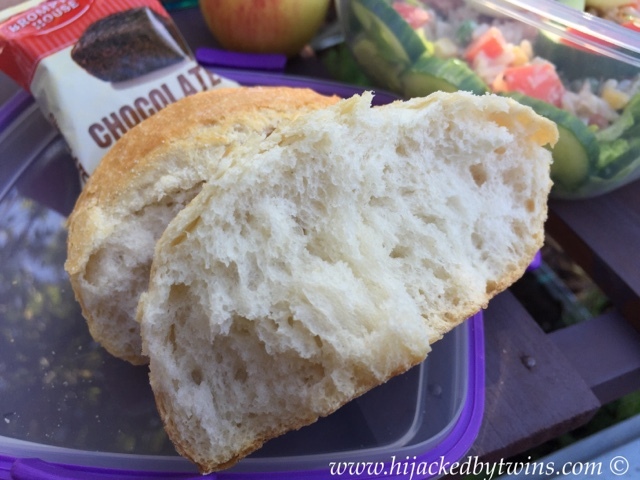 When I defrost bread that I have frozen it never tastes as good, so when I saw that Iceland stocked bread rolls that could be baked from frozen I knew that they would be a must have! I was not disappointed the rolls came out of the oven just like freshly made bread rolls do. For my back to school recipe I decided to make a rice salad. Rice is full of carbohydrates so acts as a fuel for the children's bodies. The return to school can be tiring for them so they need all of the energy they can get to keep their bodies and brains going! The addition of an egg provides them with protein to help keep their energy level up. The tuna provides them with healthy omega 3 fatty acids while the vegetables give them their much needed vitamin goodness! When using frozen foods you are guaranteed to have a high amount of vitamins as the vegetables are frozen at the optimum time after picking to preserve all of the goodness that wears off as they ripen. Serve the salad with a crusty bread roll. Add to the packed lunch an apple, and a chocolate brownie as a treat. 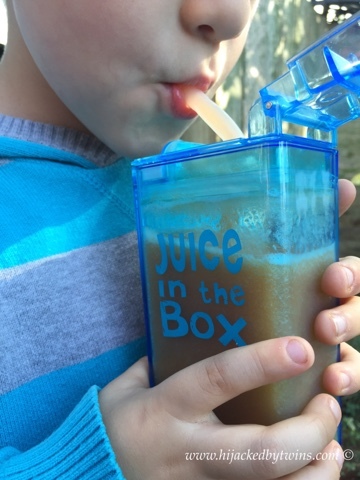 For your children's lunch drinks either send them with a bottle of water or even a smoothie. Iceland stock some great smoothie packs. Each bag comes with four, ready prepared pack of fruit and vegetables all ready to blend up into a smoothie from frozen. The twins love the Pineapple, Papaya and Carrot Smoothie. 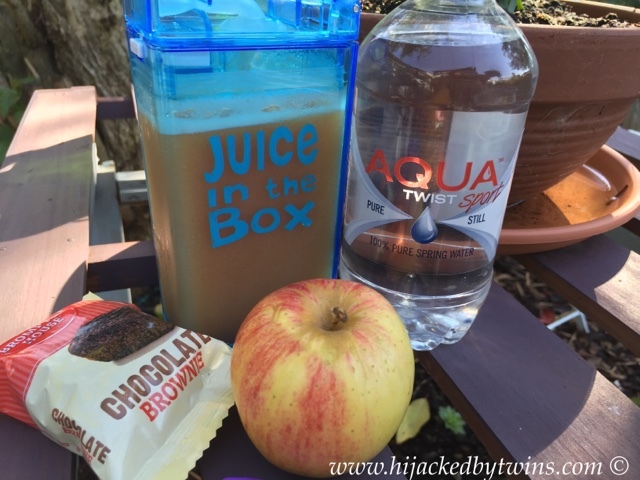 Each bag contains pineapple, papaya, carrots and goji berry juice. Each smoothie equals one of your recommended five a day. Simply place the fruit and vegetables in a blender with 250mls of water, fruit juice or yogurt and blend up. 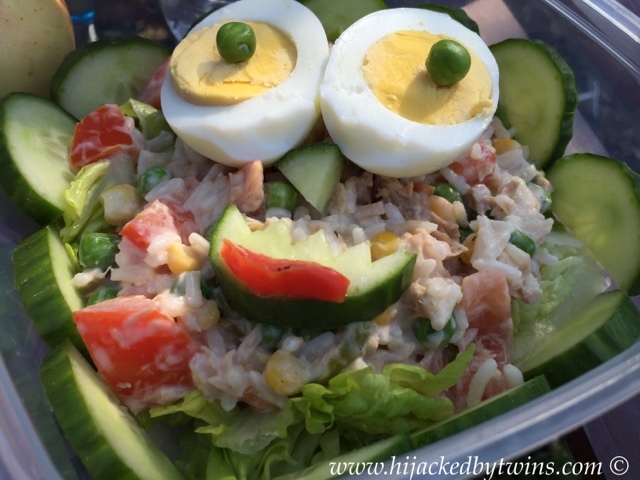 This lunch is not only quick and easy to make but is also perfect for the whole family. My recipe will easily provide three lunches depending on portion size. I will even be making sure there is some extra left over for me to enjoy at lunch time! For more information on the #PowerofFrozen and more recipes visit Iceland.